Hey Guys! I’m here to talk about Parent-Taught Driver Education. My sisters and I, along with most of my friends, learned to drive with their parent as the instructor using Texas’ Parent-Taught Driver Education guidelines. It was so easy and convenient with our busy high school schedules. I was able to access my online driver education course after soccer practice and homework, on the weekends, and in my own, comfy room. This made drivers-ed super easy. It’s a great alternative to driving schools that are not convenient and cost hundreds of dollars. Having my parent teach me driving skills made drivers-ed less stressful. I felt comfortable asking my mom questions and was relaxed learning to drive from her. I knew she was invested and personally cared that I was a safe driver. We scheduled my behind-the-wheel lessons when it was convenient for me. That meant a lot. If you are as busy as I am with school work and activities, I know you value your time. I’m so glad I didn’t have to learn at a driving school and be restricted to their schedule. What is Texas Parent-Taught Driver Education? 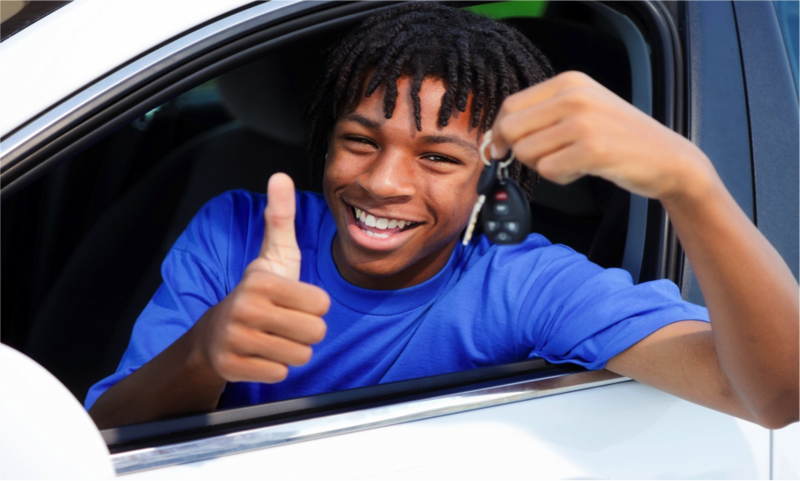 Texas’ Parent Taught Driver Education Program is available to teens between the ages of 14 and 17. Your instructor (either your parent, step-parent, grandparent, or legal guardian) must have a valid Texas driver license. Also, they can’t have any criminal convictions (like driving while intoxicated) and their license must not have been suspended or revoked in the last three (3) years. To get started, your parent applies for their Parent Taught Driver Education (PTDE) Guide from the Texas Department of Licensing and Regulation (TDLR). Your parent applies online at www.tdlr.texas.gov/driver/parenttaughtprogram.htm. The program guide will be emailed to them within 12 – 24 hours. After receiving the guide, you can choose an approved PTDE course, like Online Driving Professor’s Texas Parent-Taught Teen Driver Education course. Pretty simple process. 44 hours of in-car instruction which consists of 7 hours of in-car student observation, 7 hours of in-car student driving instruction, and 30 hours of additional driving practice. Your parent can only teach you two hours in one (1) day. These two hours can be made up of two (2) hours of classroom instruction; or one (1) hour of classroom instruction and one hour of in-car observation or practice. Having my parent as my instructor really was a win-win for both of us. I got to avoid sitting in a classroom for hours and learned on my own time and schedule. My mom was happy too. She knew, first hand, I had the driving skills and knowledge to drive safely on my own. Good luck and drive safe!